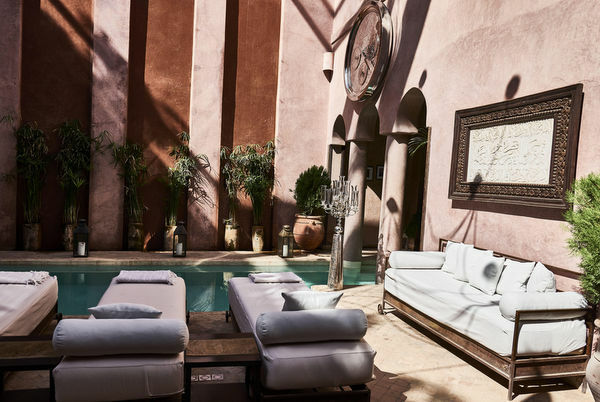 Riad Noir d'Ivoire is a unique luxurious oasis in the ancient medina of Marrakech steeped in history, stunning architecture, extraordinary character and expressive décor. 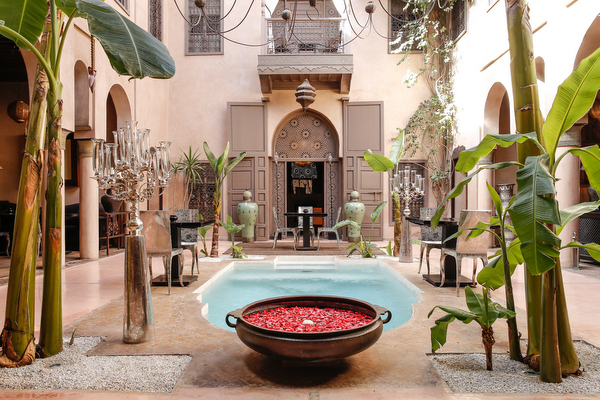 The riad has nine rooms and suites all with en-suite tadelakt bathrooms with rain showers or showers and bath tubs. 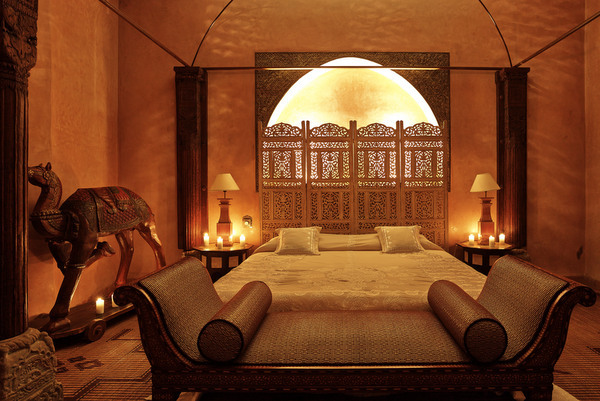 All rooms are equipped with air conditioning, satellite TVs, WiFi, mini-bars and safes. 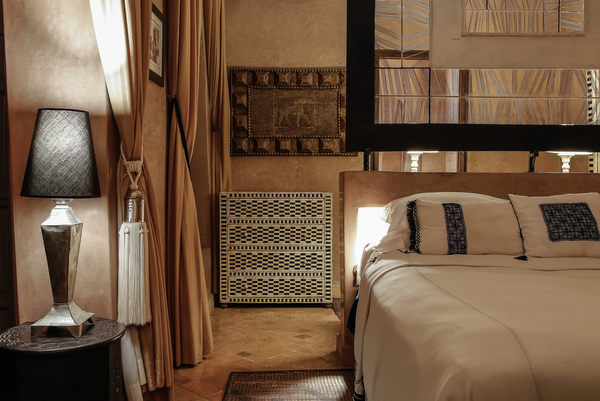 The large, comfortable beds are fitted with fine Egyptian cotton bed linen and all the fabrics in the riad have been handwoven using luxurious combinations such as linen and leather. 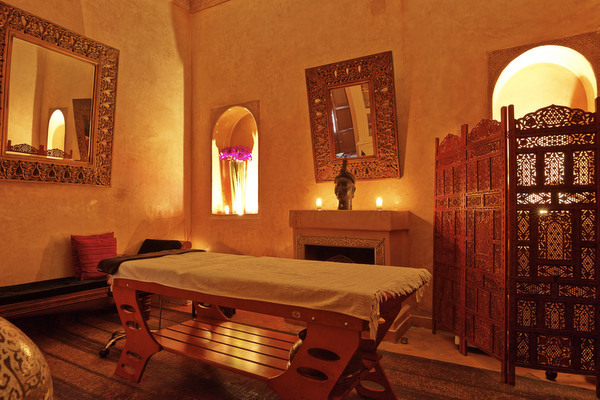 Each suite and room has an original style, incorporating furniture, antiques and objets d'arts in an eclectic range of materials. 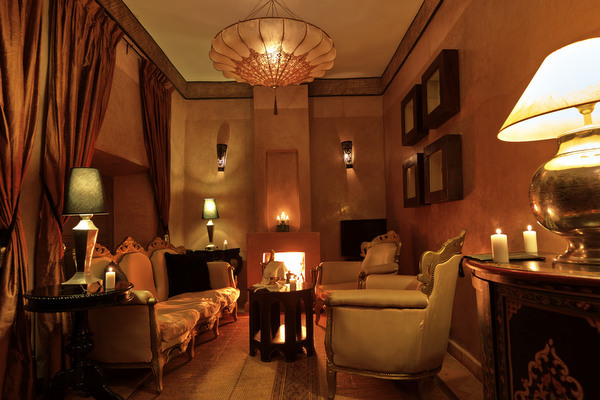 Each of the seven suites has its own working fireplace. 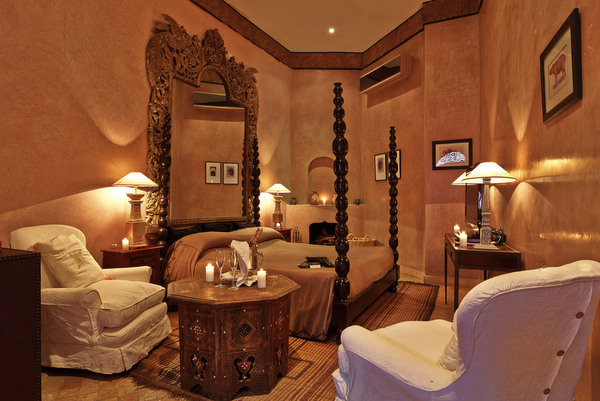 The Master Suites are simply stunning - the Panthère Suite has a separate study and dressing room, wing chairs and a wonderfully romantic four-poster bed, while the Guepard and Zebre suites both have a private roof terrace with a large Jacuzzi and a wonderfully decadent double day bed. 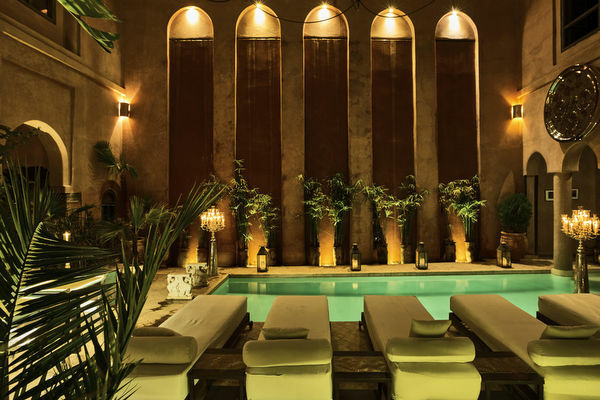 The riad offers two swimming pools (one is heated all year round), a rooftop Jacuzzi, a luxury spa complete with traditional hammam, and our very own cocktail bar. 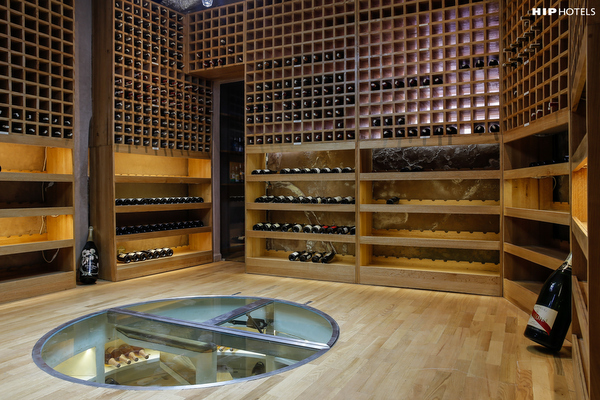 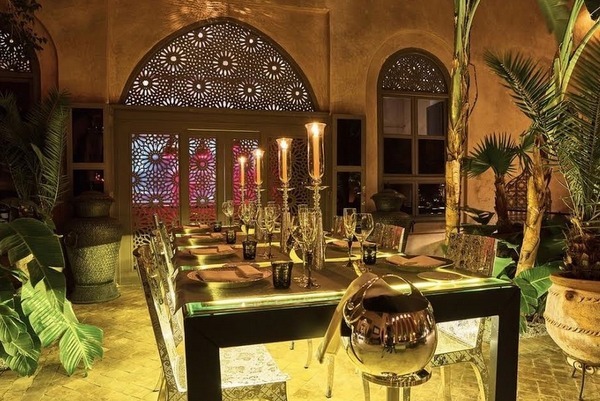 Our in-house restaurant serves exquisite Moroccan and International dishes.